Can you collect unemployment if you resign? If you are thinking about quitting your job, there's a good chance that this question has crossed your mind a number of times. You certainly need to be aware of the facts about this important issue before you make up your mind regarding whether - or when -- to leave your current position. Wondering Can You Collect Unemployment If You Resign? While it's understandable that anyone who has a job that he or she no longer enjoys or where the working conditions are less than favorable would be tempted to resign, the decision to do so is not one that should be made lightly or without fully considering the consequences and financial implications of such an action. After all, if you are considering leaving your current job without having a new job lined up for yourself, one of the biggest factors that you have to consider is how you will manage to pay your bills and cover your living expenses if your income ceases. That's when the question of can you collect unemployment if you resign is likely to cross your mind. Don't put yourself in a difficult situation by making an incorrect assumption about your eligibility for unemployment. If you are wondering about whether or not you'll be able to receive unemployment benefits if you resign from your job, it's likely that you are pondering the notion of walking away from the position you currently hold before you find another one. There's also a good chance that you have some concerns about what will happen if you are not earning an income. If that's the case, it's a good thing that you are researching the facts about unemployment before you finalize your plans and end up making a decision to leave your current position without having another source of income lined up. That's because the answer to your question is "no". Many people mistakenly think that anyone who is not employed for a period of time will be able to collect unemployment benefits. This is not the case at all. The exact criteria that must be met in order to receive unemployment compensation payments do vary from one state to another. However, even though there are many state-specific differences, it is a fact that there are no circumstances under which voluntary resignation from a job will qualify an individual to receive unemployment compensation payments. 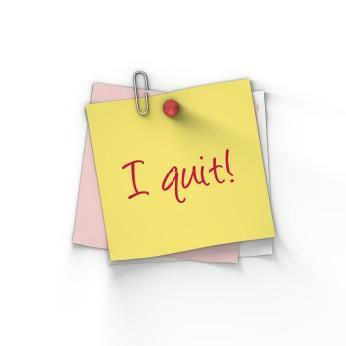 Why Can't I Collect Benefits After Quitting? Unemployment insurance is intended to provide a source of income for people who lose their jobs for reasons that are no fault of their own, such as downsizing, temporary or permanent layoffs, company closings, and other reasons tied to economic factors or employer decisions. Individuals who become unemployed as a result of their own actions - whether they are fired for misconduct or if they choose to leave their jobs voluntarily -- are not eligible to receive unemployment compensation payments. 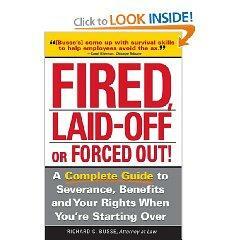 Therefore, if you decide to resign from a job of your own free will, you will not qualify to collect unemployment. The decision to leave your job is one that you have to make on your own, after carefully considering all of the relevant factors. If you are in a job that isn't right for you - whether the issue is with the type of work you are performing or of it is tied to the culture of the company where you are working - it's probably in your long term best interest to seek a different employment situation. However, it's also important for you to be aware that you won't if you quit a job. The timing of your decision could have a significant impact on your immediate and future financial security. If you cannot afford to be without an income for a period of time, in most situations you should focus on trying to secure a new employment situation before leaving your current job. If you are dissatisfied with the position that you have now, it's advisable for you to update your resume, conduct a through job search, and begin the process of applying and interviewing for positions that are a better match for you than the one you currently have. By taking matters into your own hands and trying to line up a new position before making a rash decision, you'll be much more likely to find yourself in the unfortunate situation of being unemployed and ineligible for benefits.